This is a guest post by Ann Smarty. If you want to guest post on this blog, check out the guidelines here. Looking around your current contacts. Guest posting at your friends' sites will only make your old relationships stronger and more active. Besides, this is a good way to "learn" to guest post: adapt to various types of audience and blogging atmosphere. Searching Google. I've posted about some advanced tips on searching Google to hunt great (and tightly targeted) guest posting opportunities previously, so you just need to go and check it if you haven't yet. But as an active (and long-term) guest blogger, I've become somewhat creative in hunting guest blogging opportunities and in this post I am sharing the three of them which turned really effective for me. Well, the first thing to keep in mind here is that there are no real competitors when it comes to blogging (this is one of the reasons why I love it). Blogs can't really compete because each of them has its unique voice and thus takes its own place. But there are blogs in the same niche as you are and it is a good idea to find new, emerging and rapidly growing ones and see what they are doing. One of the best advice I've ever got was: when it comes to competitive research, think young. It is not easy to follow already established, high-authority blogs: they already have solid contacts and fans which help them move further. New bloggers have nothing; they are hungry and they've got to be creative. Watching what they are doing and following their steps, you can learn a lot. It doesn't mean you have to copy everything they are doing – you'll notice yourself get inspired by watching those active bloggers; you'll notice yourself find plenty of unique ideas and finding your own ways as well. This is somewhat related to the previous one: you won't be able to (easily) find new bloggers in Google (because they don't have enough link authority to outrank more established blogs) but you will surely find them Tweeting. Besides, Twitter search is real-time – meaning that you'll find new and fresh guest posting opportunities. You are almost done. 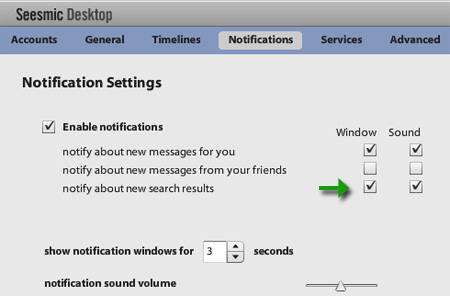 Now use Seesmic built-in search option to search Twitter for what you need. I was searching for "guest posts" in general, you may want to restrict the search to your niche like [guest post diet], [guest post money]. Quick tip: create a separate search for each synonym you'd like to track: [guest post money], [guest post finance], [guest post save], etc. Now whenever you have new results, just go ahead and check out the new blogs and what they are doing. Bloggers' communities are plenty. Some are generic ones where people discuss all things blogging. Others are more focused and targeted like, for example, Blogher (which unites blogging women) and 20 something bloggers that unites bloggers aged between 20 and 30 (and thus having common interested, styles, priorities, etc). I have recently created another community specifically targeting people looking for guest bloggers and / or guest blogging opportunities. It is called My Blog Guest and if you are interested in guest blogging and plan to do a lot of it, you may want to check it out. I am doing my best to keep the bar high enough: I don't really want the forum to turn into buy-sell thing, so only join it if you are interested in long-term partnerships and "pure deals". Ann Smarty blogs on search, social media, branding and blogging at her SEOsmarty.com blog. I’ve been trying guest posting opportunities. Your ideas sound pretty good. If anyone is still looking for ideas, they should consider using footprints like “submit article”, “write for us”, “contribute to us” along with their keywords in Google. This pulls up a list of sites in your niche who are actively looking for guest posts. I hope that helps. One more quick tip for those with ecommerce sites: show appreciation to your customers even when they don’t ask for it. Surprise returning customers with great deals, give things away, etc – then talk about it in your blog – I’ve had a positive response to this. Yeah these are some great tips, I am always using the first option which is .Looking for New, Rapidly-Growing Competitors, I find this very useful because I also like reading upon blog’s people have posted and the amount of people that comment to the subject of the topic. It is interesting to see what people have to say and also this enables others to interact and contribute. I would agree with Ms. Green. My blog gets hits everyday with “experts” who would like to guest post. What happens, a sales pitch is only thrown at my readers. You have to be careful with this. I have started guest blogging with one post to another blog and one guest at my site. The trouble I’m having is a lot of the people who want to guest blog on my site seem to be overly promotional, which I think would definitely turn my readers off. Ann’s blog is great and she gives great information. I am joining Myblogguest.com to find guest bloggers for my site Giglogo.com. See you all in Myblogguest.com! MyBlogGuest is always great to have resources like this that help you locate networking opportunities! I agree with this! good references! Good tips. Another thing I find helpful is to network with those who already interact with your website. I always try to establish decent relationships with people who visit my site so I can turn to them for guest posting opportunities. If you sincerely want to help them, they will want to help you. Good advice, keep it coming. I’m a new user and a big fan of myblogguest! Your frequent blog postings about guest posting are especially useful. I enjoy guest posting on other people’s blogs. What I love even more is having people guest post on my blog. I focus on posts related to staying young from the inside out. Everyone has different ideas on the subject. Having people of all ages and backgrounds guest post, keeps the topic fresh and provides something -implementable – for everyone from sedentary to active, from bored to enthusiastic. Thank you, Ann, for all the great work you do! Ann has inspired me to guest post more. Thanks for these great tips. I’ll be implementing them tomorrow! Thanks for the info. I love the guest blog and welcome guest bloggers to my site. Great post! These tips are way helpful! Generally I choose blogs that gets a lot of comments, like DBT. Having huge RSS readers and huge traffic haven’t worked for me. Hi Ann, thanks for the tips. I didn’t realize so many people were actively doing guest posts. I’m wondering when you approach someone to do a guest post on their blog if you have them choose the topic or do you generally choose it? Thanks for the tips, especially since I’m about to start guest posting anywhere and everywhere that is relevant to my blogs. Great post Ann. 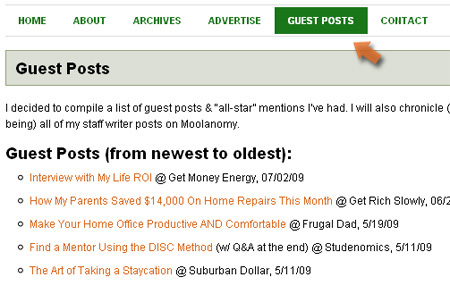 I found these tips useful for getting more guest post opportunities. Thank you! Thank you so much for posting it. I am happy to hear it can useful! Really helpful post! Another great “guest blogging” resource that’s recommended by @DeniseWakeman (co-founder of the Blog Squad) is BloggerLinkup.com – It’s FREE to join. I’ve found more guest posting opportunities through twitter than any other medium. Also by commenting other blogs. Network and network some more. Blog, write ebooks, write articles. Do anything to establish yourself as an authority so that people would be honored to have you post on their blog. All great tips of course but I personally think using MyBlogGuest is the best tips on the list. I have been using MyBlogGuest since it first started and it’s starting to pay off. I’m being contacted every day by new, friendly bloggers wanting to guest post on my blog. The other tips are good but with MyBlogGuest there is no need for me to look any further. i am also working on to start guest posting on my blog. these tips will really help me a lot to find some good blogs in my niche. thanks for the share. Try to guest posting in new (but growth) blog surely worthy — it is easier to be accepted and there is a potential on it. Cool tips. I personally use no.1 and I agree its a powerful way. I’d rather have emerging blogs to guest post on rather than old blogs who aren’t getting good traction these days. 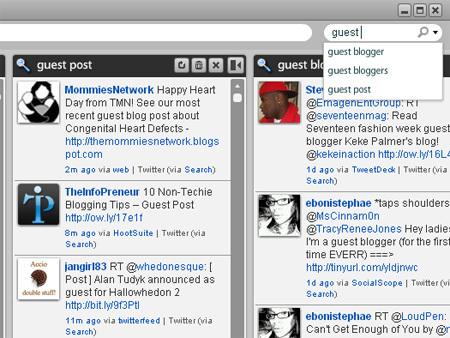 I just joined MyBlogGuest and already made my first guest post on a really popular blog. It is always great to have resources like this that help you locate networking opportunities! Well, thanks for your guest post. I found your ideas useful. Apart from reading blogs, I also tend to leave comments. I enjoy responding to what I read. I like to participate: it feels good to contribute some ideas that way. So, your post resonated with me. 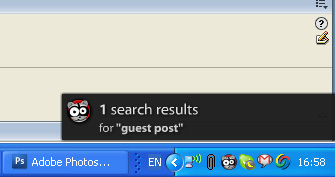 I have always been on the look out to guest post. I have had some luck with Stefan Knappen of Study Successful. Later, Maria Brophy invited me to contribute a poem on her wonderful blog as well. Other opportunities can come your way with experience. It can also help if you ask politely. I think there are some bloggers out there who are looking for readers to fill in for them, once in a while, when it is inconvenient for them to contribute posts. Such bloggers may have other commitments and may be busy with other tasks they need to take care of. So, they appreciate it if you can contribute a guest post or two. It is a pleasure to read your blog. Cheerio.